The San Francisco treat is no longer Rice-a-Roni despite the claims. One local chef who may lay claim to at least being able to get San Franciscans' taste buds salivating just thinking about his food is Ike Shehadeh of Ike's Place. 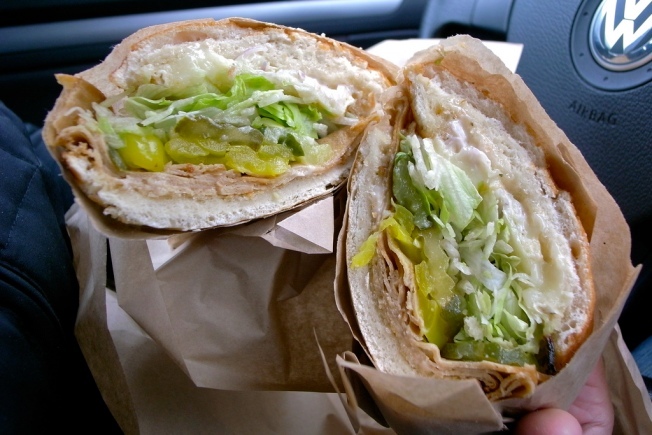 Despite his troubles to stay open, Shehadeh has slowly expanded his footprint in the Bay Area and now the Bay Citizen is reporting that Ike's sandwiches may be going Hollywood. Shehadeh was in Los Angeles this week meeting with potential investors about the possibility of opening his sandwich shop with the dirty sauce down south. “I looked at maybe 20 locations,” he told the Bay Citizen. “I got a really good vibe.” He said an Ike’s Place could open there as early as this summer. Some of the sites Shehadeh is looking at include alongside the famed Kodak Theater or in Universal City, near Universal Studios. Shehadeh says he still wants to keep expansion slow so his restaurant is not labeled a "chain."